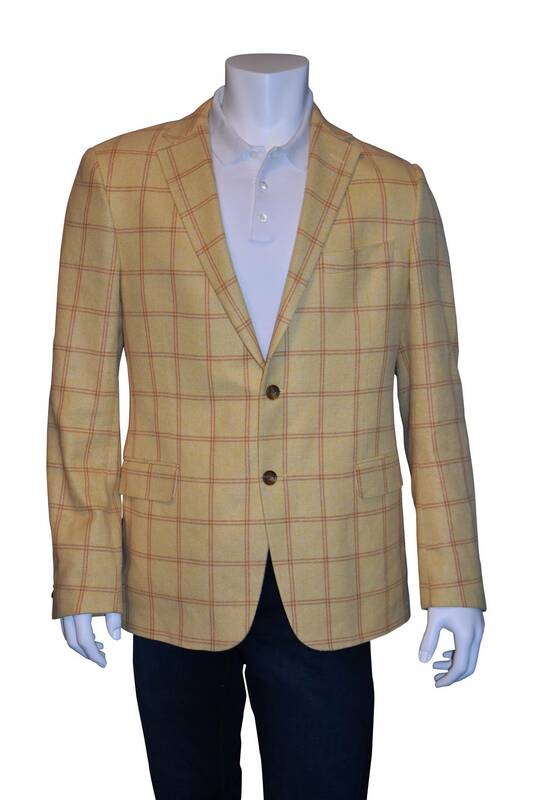 Hickey Freeman Millburn II yellow with red windowpane patterned blazer. 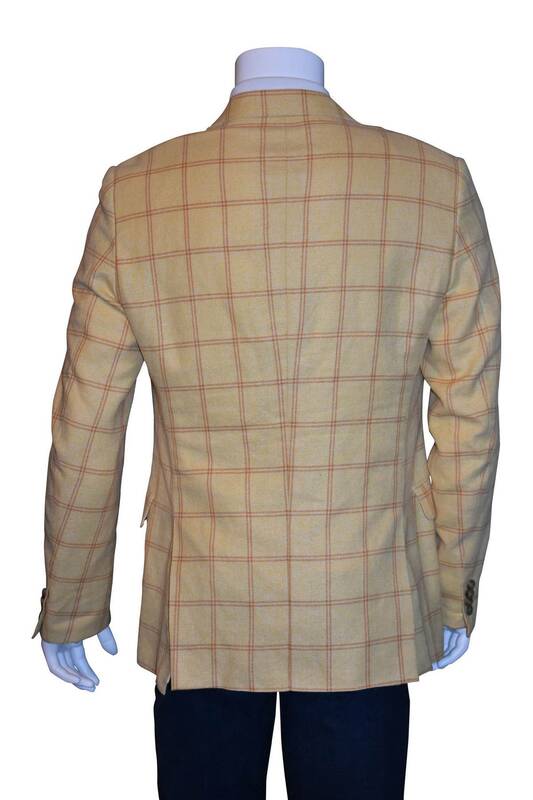 Notched lapels, one single breast pocket and two flap pockets. Three interior pockets and center vent to back. Two button front closure. Fully lined.